5 simple ideas to keep kids' brains active over the summer! | Back to Basics Learning Dynamics, Inc.
5 simple ideas to keep kids’ brains active over the summer! Keeping kids’ brains active over the summer months can be a challenge. Understandably, parents want summer to be a fun time, full of late mornings, days spent outdoors, swimming, biking and making happy memories. Too much fun, and too little mental stimulation, however, is a dangerous combination for a student when he returns back to school in the fall. According to the most recent data from the National Summer Learning Association, “Most students lose about two months of grade level equivalency in mathematical computation skills over the summer months. Low-income students lose more than two months in reading achievement.” All young people experience learning losses when they do not engage in educational activities during the summer. Research spanning 100 years shows that students typically score lower on standardized tests at the end of summer vacation than they do on the same tests at the beginning of the summer (White, 1906; Heyns, 1978; Entwisle & Alexander 1992; Cooper, 1996; Downey et al, 2004). So, how can smart parents solve this problem without taking all of the fun out of their child’s highly anticipated summer break? Below are five simple suggestions for activities that are entertaining — and educational — that all parents can work into their child’s schedule. Get Crafty: Crafts are crucial for the development of critical thinking skills according to the recent article, “How to Increase Higher-Order Thinking” by Alice Thomas, M.Ed. and Glenda Thorne, Ph.D. Benefits include learning to follow directions and steps, a tremendous asset for the youngest students. In addition, the act of making something – whether painting, coloring, or carving — stimulates creativity. Alternative thinking skills are also enhanced when using household items and recyclables in new and unique ways. From simple bottle cap snakes, to complex model rocket building, crafting also instills a sense of pride and accomplishment in children of all ages. Often these “works of art” are kept for decades and bring back pleasant memories. Kiss the Cook: A winning idea for kids of all ages! Get children involved in food preparation from every aspect — choosing items at the grocery store, actual food preparation, and the all-important presentation. If parents have a garden, that’s even better (pots of tomatoes and herbs on the patio count)! Learning where food comes from is a mini-science lesson, food prep involves measuring, math, temperatures and time, and food presentation is a wonderful outlet for creativity. Game on! Educational games can be fun! Linda Rodgers, author of “Board Games That Increase Brain Power,” from Parenting magazine says, “…board games can boost a slew of skills that help kids do better in school.” Educators frequently use brain games in the classroom including language games such as Apples to Apples, Scrabble and You’ve been Sentenced! Strategy games such as Blokus, Othello and Stratego are also a boon. Plus, don’t forget old standbys you may already have in your “games closet” such as Chess, Checkers, Pentago, Risk, and Mastermind, or Sudoku 5×5. Career Day Why wait for “Bring Your Daughter to Work Day?” Bring your child into work (if possible) to see what a typical “day at the office” looks like. Depending on the age of the child, let them help with simple tasks such as filing, photocopying, or faxing. Have a friend with a completely different career? Switch kids so that they can experience the difference between working in an accountant’s office versus a veterinary clinic. This experience is a real eye-opener for middle school and high school kids! Read, Read… READ! Depending on the school they attend, some children will have required summer reading to complete before returning to school. However, some do not. In fact, educators often lament that they find some children who have read nothing at all over the entire summer break! To encourage reading, enroll in a public library Summer Reading Program which rewards reading with prizes and activities. Or create your own program at home. 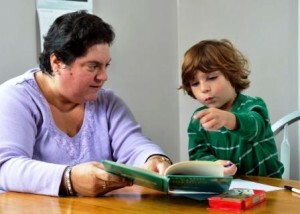 Choose books which are just slightly ahead of your child’s abilities, but not so difficult that they become frustrated. A more extensive vocabulary and improved reading comprehension will serve your child well when September arrives. Whichever educational activities you choose to try together, remember to have fun. It is summer vacation, after all! How to get a FREE Delaware Library Card and get kids excited about reading this summer! Graduation rate rises above 80% in the US for the first time in history!